LEGOLAND Malaysia is slated to be officially opened at 15th September, 2012 (Saturday), a day before Malaysia Day which happens to be a long weekend! Inspired by Asia’s growing love affair with all things LEGO®, the new 76-acre theme park will cater to kids from 2 to 12 with more than 40 rides and attractions – from roller coasters to race cars as well as family-focused interactive shows. Nearly all of the rides are hands-on, so you can push, pull, pedal, program, steer, squirt, splash, crawl, climb and yes – build your way through a full day of non-stop fun. 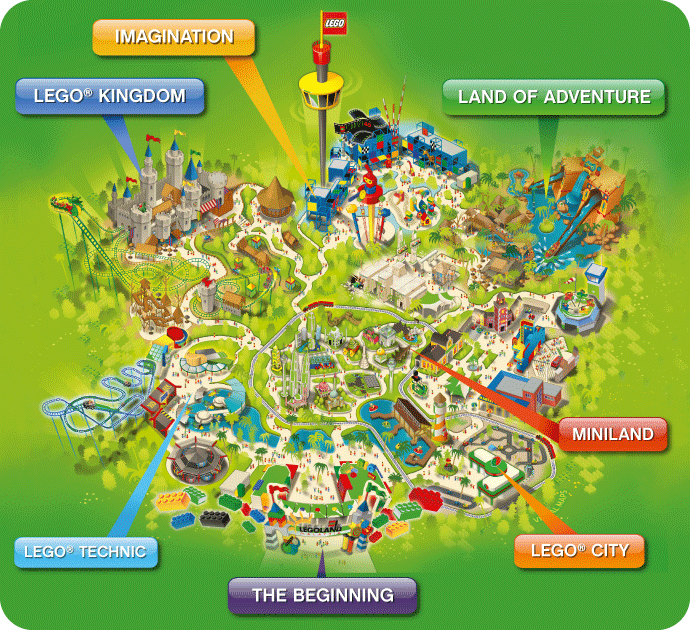 LEGOLAND Malaysia is the sixth LEGOLAND to be built in the world and the very first in Asia. The park is divided up into seven themed areas. Each theme area is designed to ensure that heroes of all ages will find much to explore and enjoy at the LEGO® experiment centres, roller coasters, water attractions and shows. The whole family can thus embark on a day-long voyage of discovery and adventure. Get 25% OFF regular LEGOLAND ticket(s) by buying it online in 7-days advance booking! 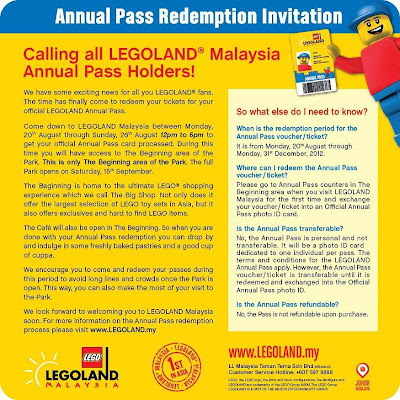 LEGOLAND Malaysia Annual Pass can be purchased online via AirAsia RedTix or via SISTIC . At the moment, there's a limited time promotion for pre-opening passes at these websites! To all Redtix and Sistic customers who will be coming over to redeem Annual Pass, please be reminded that you need to print out your e-Tickets and not the confirmation email by Redtix or Sistic. The e-Tickets will have a barcode printed on it. 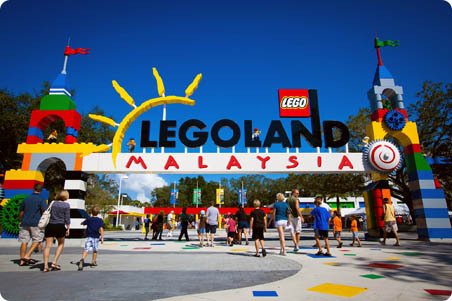 LEGOLAND Malaysia is open most of the day in 2012 from 10 am until 6 pm. Longer opening hours apply on weekends, during school and public holidays (10am - 8pm). Attractions (except MINILAND) are closing one hour prior to park closing-time. Restaurant and shop hours may vary due to visitor appearance. 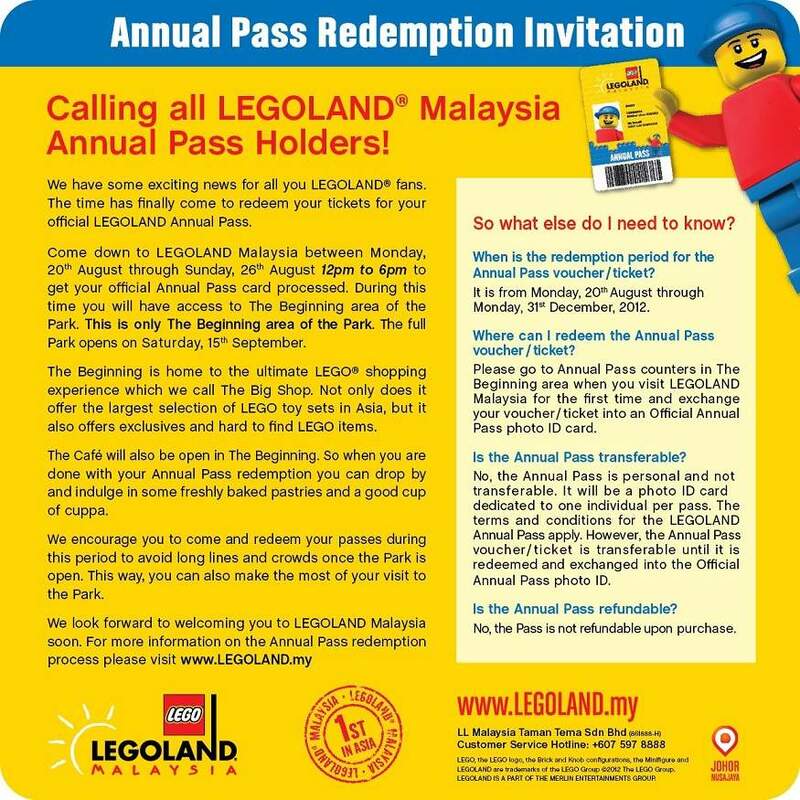 For more information, check out the LEGOLAND Malaysia Opening Hours calendar here. Visit LEGOLAND Malaysia Frequently Asked Question section. 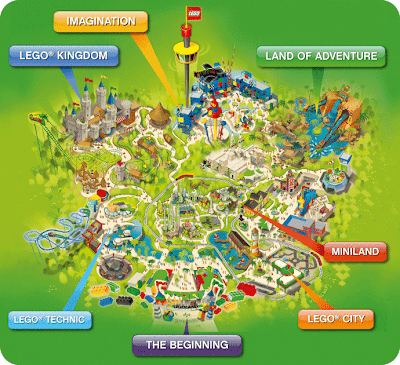 Official Videos on LEGOLAND Malaysia - Behind the Scenes, Media Coverage and more! LEGO toys at great discounts ~ FREE shipping & you can PAY ON DELIVERY! 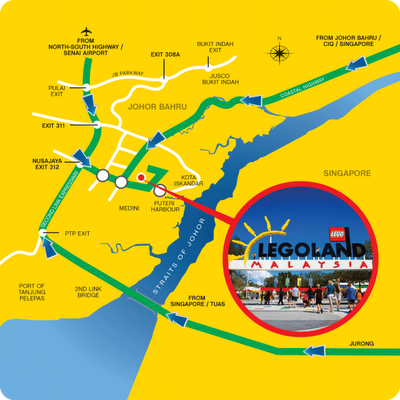 Do you like LEGOLAND Malaysia?